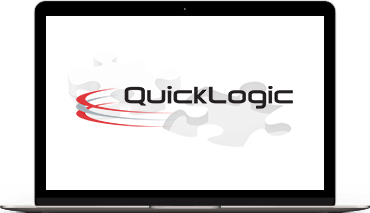 QuickLogic develops low power, multi-core semiconductor platforms and Intellectual Property (IP) for Artificial Intelligence (AI), voice and sensor processing. The solutions include an embedded FPGA IP (eFPGA) for hardware acceleration and pre-processing, and heterogeneous multi-core SoCs that integrate eFPGA with other processors and peripherals. The Analytics Toolkit from the company's wholly-owned subsidiary, SensiML completes the 'full stack' end-to-end solution with accurate sensor algorithms using AI technology. 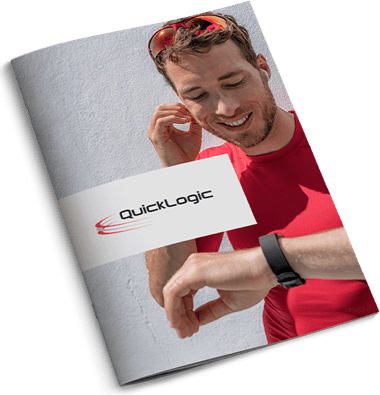 The full range of platforms, software tools and eFPGA IP enables the practical and efficient adoption of AI, voice and sensor processing across the multitude of mobile, wearable, hearable, consumer, industrial, edge and endpoint IoT applications.